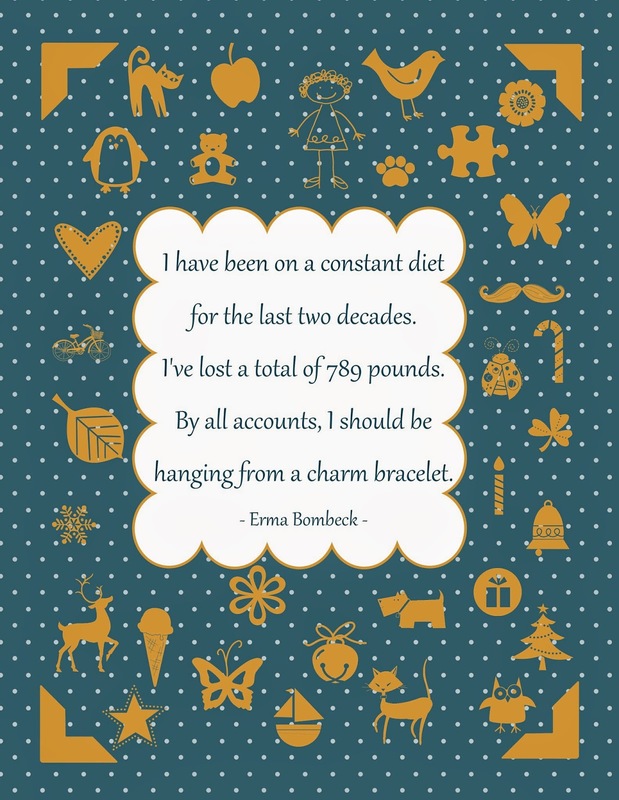 Erma Bombeck, a well-loved funny girl author, who wrote such classic gems as The Grass Is Always Greener Over the Septic Tank, and If Life Is a Bowl of Cherries, What Am I Doing In the Pits?, was always one of my mom's favorites. And I inherited Mom's appreciation for Erma's droll sense of humor. One of her quotes that I've always loved is: "The only reason I would take up jogging is so I could hear heavy breathing again." And her touches of true and endearing/enduring wisdom: "A child needs your love more when he deserves it least." My husband didn't even smile when he read the quote I featured in my piece above. I dunno. Maybe it's a woman thing. You know, appreciating a dieting "joke". I turned to MDS (My Digital Studio) to preserve this Erma-ism. Searching through all my stamp images, I extracted those that resembled charms and added them to the mix. Can you find the faint outline of Erma at the top of the piece? She has lost so much weight, she is fading away. Enjoy this little bit of goofiness. I had fun creating it for you! Haha I love the quote! First, because it's funny and I can relate. 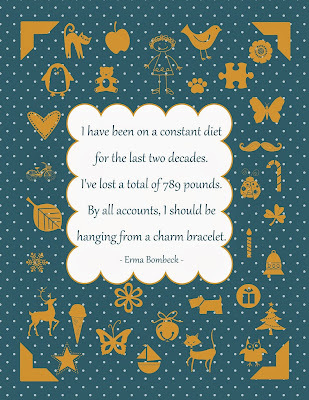 And second, because I just really like charm bracelets!! That is so cute. I love Erma too! Thanks for stopping by the Wonderful Wednesday hop. Following you everywhere! Love your card! And the thoughts of Erma! I always loved Erma too. A real treasure. Thanks for bringing her back to the forefront. Have a great week. Love this. Thank you so much for sharing this at All Things Pretty. I hope to see you back on Thursday. I read Erma Bombeck also. What a stitch!